Take it as a warning sign if you can no longer offend me. 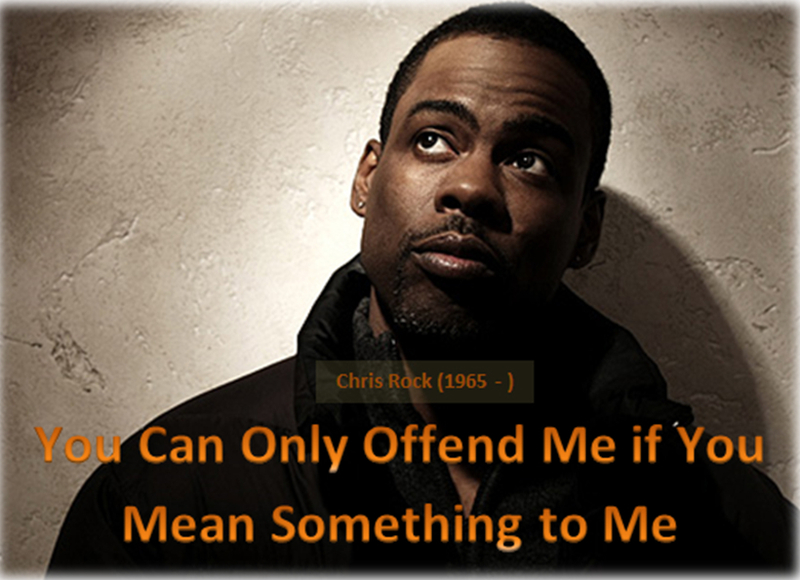 The ”Chris Rock (1965): Warning Signs” by (text) EYHCS is licensed under a Creative Commons Attribution-NonCommercial-ShareAlike 4.0 International License. Photo used for entertainment purposes only from http://www.esquire.com/features/man-at-his-best/q-and-a/chris-rock-interview-0311. ©EYHCS and 15 Words or Less, 2010-2014. Unauthorized use and/or duplication of this material, including, but not limited to YouTube videos, papers, and other original works of art without express and written permission from this blog’s author and/or owner is strictly prohibited. Excerpts, links, and images unless otherwise stated may be used, provided that full and clear credit is given to EYHCS and 15 Words or Less with appropriate and specific direction to the original content. ← Confession Moment #2: I Object Your Honor, I Need a Side Bar.